Do You Even Know Why We Wear Kendo-gi in the Way We Do? Many want to learn kendo. I am so glad and so happy to hear that. I would like to do anything I can help those who want to learn kendō. But they want to learn kendo so they can create their own style or just to add something to what they call a “combat or fighting system”. They can do whatever they want to do on their own time but there is one thing that we all should know. No One Should Intentionally Change Kendo. 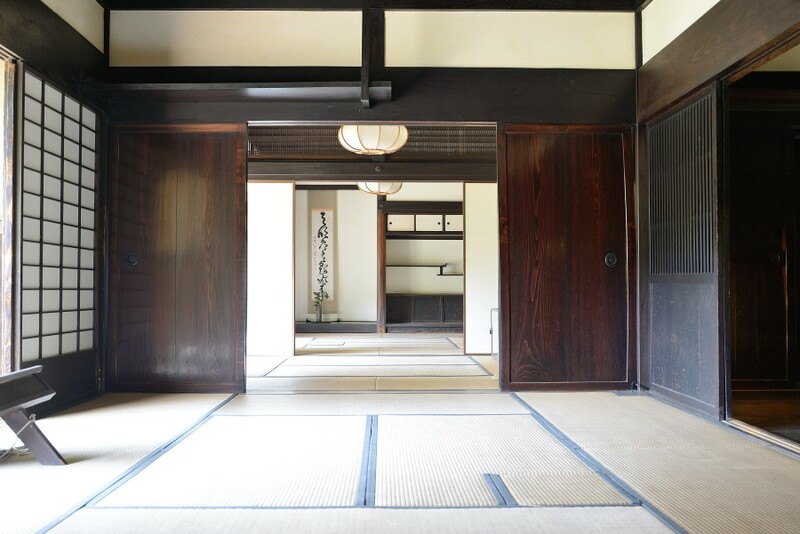 Kendō has its own history and culture. And during the course of its history, it certainly changes its form and nature. 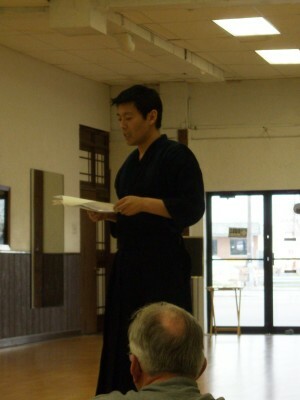 Kendo was a part of kenjutsu training. But as we all know it is not a part of kenjutsu training anymore. But that is how it started. Then going through all kinds of incidences such as Meiji Restoration and World War II over the last 300 years or so, it turned itself into kendō we now know. So, yes, kendo did change. And I can tell you that kendo in 2015 and kendo in the 80s are different. If you do not practice kendo you probably cannot tell the differences but I can tell you that they are different. But history that kendo has will not change. If you go to a traditional dōjō, you can see a shrine there. It is to keep the dōjō sacred. It is to keep the dōjō and practitioners safe. And most of all, it is for the practitioners to train fair and square sincerely under the martial god. And funny enough, kendō has influenced by Zen Buddhism. There is nothing surprising if you know about Japan. Shintoism and Buddhism are two major religions and they have been around for a long long time. Of course, kendō was influenced by those two religions. Also it has influence from Confucianism. I am not here to talk about religions. I want to point out that kendōhas a long history. If you want me to be precise, kenjutsu was influenced by those religions and kendō is carrying the influence up until now. And also kendō has teachings from samurai, the Japanese warriors. The teachings were not just words. They were from the samurai’s experiences that were learned from the dead-or-alive situations. This also includes techniques as well. Of course, the modern history had influenced kendō as well. Whatever happened in the past made kendō into what it is now. History and culture influence each other, needless to say. Kendō was derived from kenjutsu and it took its own course. Thus, it has developed its own culture. The Japanese culture is influenced by samurai culture as well. We have a lot of proverbs that are made from samurai and katana cultures. You can learn where you should position yourself, say where sitting, from kendō because we still follow how samurai used to place themselves in a room when sitting. So I would like to ask you a question. Do you think what we do in Japan or in kendō is stupid? Or you think it does not make sense because you don’t know the reason behind it? The Japanese do not always know all the reasons behind their customs/culture because what they do is already a part of their life. So they don’t even question about them. I am sure not all the Japanese know all the historical reasons of the Japanese customs, including me. Does it mean we put less value on the customs because we are not sure reasons behind them? I hear a lot of people say, they do not want to do things that they do not know why they should do them. That is their perspectives. Many just refuse to do what they learned because it does not have enough “evidence” or “reasons” for them to follow the tradition. These people will change the tradition. I would like to share one reason for you to know why it is so hard to know reasons of doing certain things in certain way. Do you think your instructor knows why? Do you think this is important to know? Your instructor might not know everything. And that is OK. We are talking about something that has a history that is possibly longer than the Japanese history. But there is a reason why we have the right side of the keikogi under the left one. At least there is one theory. It was an influence from China. According to the book, Kendo (2009) written by Baba Takenori sensei and Baba Kinji sensei, the roots of how to put the kimono like top with the right side on top of the left one started from Scythae. 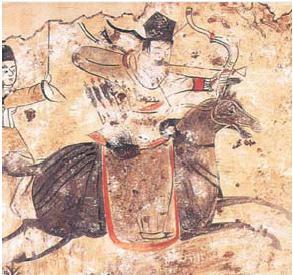 To make a long story short, Chinese people were suffered from the attacks of the Xianbei and the Huns for a long time (as long as between 300 B.C. and the mid 500 A.D.) And the Xianbei and the Huns were wearing their top with the right side on the left one. That reason they wore their top like that is because they pulled the arrow with the right hand and grab their bow with the left hand on their horse. They did not like the right side on the left one because those people who attacked them wore the top with the right side on the left side. So they had the left side on top of the right one when they wore their clothes. Officially in Japan, they had this declaration in 604, “You must have the left side of your cloth on top of the right one”. Did I learn this when I started kendō? No. Did my parents tell me about this? No. Did we have to know this? No. If we know, it will help us. Probably. You learn how to do things and then either you or others question about it. Why do we do that? That is the start of your journey. Tradition will be passed on with or without reasons or explanations to the next generation. For some people, even after getting explanation, they want to argue. They want to argue so they can do things in their way. They do not have any other reason than “that makes me feel more comfortable”. We learn as taught. That is how tradition survives. It is very nice if we are told why we do things in certain ways but it is not always the case. So we should strive to study why. Recently I really think that we cannot teach kendō. Kendō is something that you study. Sure, sensei will teach you and show you how to do the basics such as footwork and how to swing your sword. But after that, it is all up to you to study it. Polish up your skills and dig it more deeply. I always tell my students that I can tell them what they are supposed to do. But it is up to them to make it right. I cannot control their body for them. It is their body so only they can control them. When they do things right, I tell them they are doing well. But that is not the end. To make it even better, it is up to them. I even tell them what they should do to improve their skills. But it is up to them to STUDY and DIG more deeply what they are taught. Seme is a good example for this. Seme is often translated as “to attack” or “pressure”. So basically there are two types of seme, one is visible and the other one is invisible. The visible seme involves physical action such as tapping your opponent’s shinai or actually stepping in. The invisible seme is to put pressure on your opponent by not being reacting to your opponent’s seme. Most often the invisible seme is done with a combination with the visible seme. Now if you do not understand what I am saying here, then you are not at the level to understand seme. And that is totally fine. I am 6-dan and just started understanding it. Hopefully I really did start understanding it. Senseis will tell you what you are supposed to do. You might be able to do it right away and you might not. And it might take years to even understand what you were taught. And it might take more years to actually perform what you learned. That happens in kendō quite often. And that is why it is necessary for us to actively study what we learned and to keep digging more deeply. Kendō has a long long history and it is related to Japanese culture. It is not something you can just change because you don’t feel comfortable about something about it. Why would you want to change it when it is pretty much an Intangible Cultural Heritage? Kendō is very difficult and hard to understand, study and perform. That is why we can have fun. And even when we reach our 60s and 70s, it is still fun and probably it will get more fun. That is why there are a lot of old people in kendō, because the fun never ends in kendō! Home > Kendo Blog > Do You Even Know Why We Wear Kendo-gi in the Way We Do?